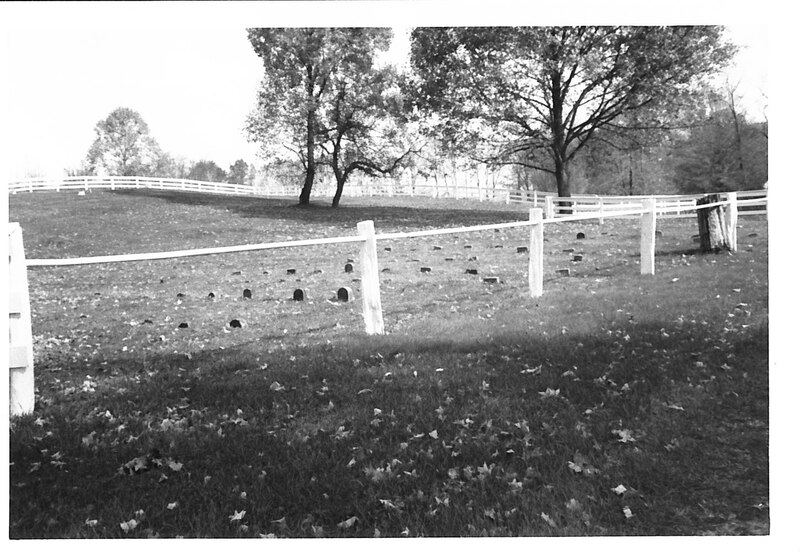 The low, simple stones of the burial ground behind the Winona Friends meetinghouse maintain a witness of simplicity. I find them together to be elegant. 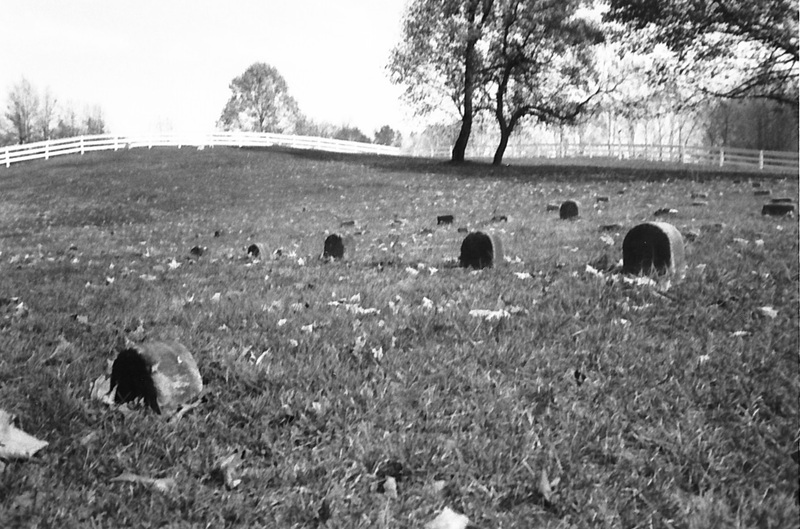 Many of the burials are in unmarked graves, keeping with a discipline of Plainness. The stones are much more recent. A personal Bible-study curriculum might be followed or take its own direction, once you’ve begun. My suggestion would be to begin with the Gospel of John, “the Quaker Gospel,” then move on to a short book like Jonah or Ruth before tackling the Song of Songs in Marcia Falk’s wonderful translation (HarperCollins, New York, 1990; her commentaries on Middle Eastern poetic imagery and form are very helpful, as well as earthy and direct – besides, who doesn’t like a romance?). By this point, you may be ready to delve into Isaiah, with an eye for the Peace and Social Concerns Committee reports. From there, it may be time to face Genesis and Exodus, skipping over many of the legalisms, if you wish, but remaining mindful that these stories are, in many ways, primitive poetries having much in common with the fragments Jerome Rothenberg presented in his moving collection of sacred writings from Africa, the Americas, Asia, and Oceania, Technicians of the Sacred (Doubleday, Garden City, New York, 1968). Notice how quickly the characters are drawn, yet how unforgettable they become. As a writer, I have an ever-growing appreciation for the leanness of the narrative, its sinewy strength, the way it breaks so many established rules; the only indication we have of Jesus’ physical form, for instance, occurs in Isaiah! Much of the writing is openly blue-collar, close to the grain, or even unadorned, something that becomes especially apparent when reading the Gospels in Richmond Lattimore’s translation, where a highly respected Greek scholar at work and at play. AN EPISTLE TO Such of the Friends of Christ, as have lately been convinced of the Truth as it is in Jesus. Bear with me, my Friends, to whom I dedicate this little Tract; for though I rank’d this Point amongst the Scruples of the Moderate, having heard some, whom I esteem such, lay this Principle to the Quakers Charge: But now being better acquainted with them, I find they have wrongfully charged it upon them, and therefore I can do no less but use some Sharpness of Speech to refute the Falseness of this Opinion, that through a mistaken Zeal (I am apt to think) some have taken up against them: Well may I say mistaken, for were the Quakers rightly understood, People would find that they have as low Thoughts of any humane Righteousness, as those that daily confess all their Righteousness to be but filthy Rags. And now, my former Acquaintance to whom I present this small Treatise, will you not yield yourselves mistaken in the Reports you have received? I freely acknowledge to you, for my Part, I am willing so to do, and that with Shame taken to myself herein, my Lot having been cast so near this Land of Goshen, that it may well be wondred at, why I did not discern my Mistakes long e’er this Time: Now though it cannot be so said of you, that the Light has shone so clear about you, yet know this every one of you, The Light hath shined in you, and that, I am sure, as it is heeded, will make manifest to you, how falsly the People called Quakers have been accused: They have been looked upon, like the Apostles in Days past, as Setters forth of strange Gods, they have been counted as unknown, and yet well known; they have been reckoned as Deceivers, and yet true: For Truth don’t use to suffer under its own Name; but when Men can fasten the Name of Heresy upon its Principle, then they think they have Pretence enough to punish its Proselytes. Thus I have again touch’d upon the former Particulars, wherein I undertook to vindicate Truth and its Followers; in all which Christ, the Light and Life of Man, is all in all unto his People. Given forth by one of the least of the Flock of Christ, whose outward Name is Elizabeth Bathurst.